I am dedicated to help improving health care systems by improving the global educational level with accessibility. Heath care systems in developing countries do often lack some very important up-to-date knowledge and discoveries. Such lack of information contributes enormously in keeping those systems left behind by producing inefficient health care providers and disease control programs. Many lives would be saved if we could guarantee the accessibility to such necessary information. Research is well known as the origin of all medical sciences. It is that researches outcome what makes health care providers who they are and what ensures medications production to fight diseases. Therefore, many research development programs were initiated to promote and fund research practice. Many goals to manage and eradicate illnesses were achieved during the past few decades but with the fact that diseases and viruses are in a continuous development we need to invest more time and efforts in this field. It is also important to highlight that these microorganisms have higher rates development than ours which means that humans might die from simple flu in the future if we could not take real actions for faster development. The implantation of the Open Access concept along with the open education and open data would lead to higher development rates not just in the medical field but in all others too. It would eventually lead to higher educational levels, increased productivity and better socioeconomic statuses. I believe it would be the easiest and less costly solution to accomplish some of our sustainable development goals on health and education and an area of which we can engage the young generations. My actions were focused on bringing attention to the issue and engage the future generations of leaders, researchers and professionals in this movement for bigger impacts. The International Federation of Medical Students’ Associations (IFMSA) platform gave me the opportunity to reach out to medical students from 116 countries around the world. My advocacy within the federation resulted in passing a policy statement on Open Access, Open Education and Open Data and the training of a new generation of medical student advocates for openness. Currently I am conducting a research on “the State of Open Access in Medical Educational Institutions” where students representing more than 1000 medical schools in 116 countries get to participate in making this research. It would give us a clear idea as a federation on how we can support students’ initiatives worldwide. Also, the research outcomes would serve as a global data on the higher education research practices that can be used for further actions. Getting more involved in the open movement, attending related conferences and work with other organization such as SPARC, EIFL and R2RC increased my expertise and gave me a deeper understanding on how Open Access implementation serves other field as well. 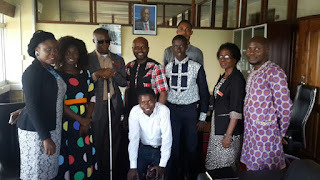 Currently, I am working with the R2RC to support students and early career professionals initiatives and advocacy programs worldwide, as well as, leading my own advocacy project in Sudan. I am writing this cover letter to express my interest in the African Union Students' Council AUSC. Being part of such an initiative is a huge opportunity for me to serve my region by empowering its youth. Working as the Deputy Representative for AUSC North Africa would allow me to gather student voices, advocate among regional platforms and provide a better support for other youth activists. 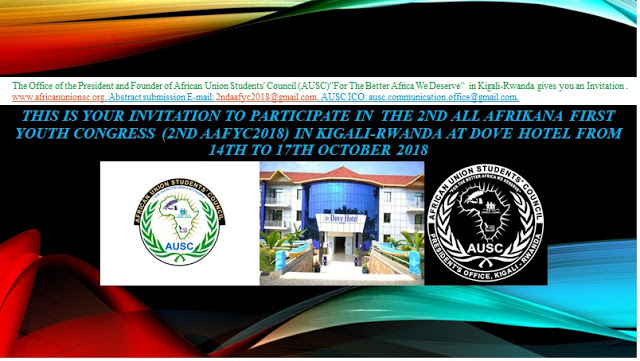 I am sure my participation would be with a special addition to the African Union Students' Council AUSC. It would be with a representation of students’ perspectives on the issues we care most about in Africa and with valuable experiences shared. - Work Experience (volunteer): Job Titles: 1. The membership development assistant - Right to Research Coalition (R2RC) (current). 2. 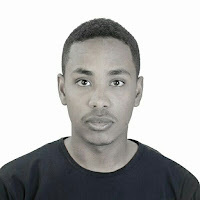 Founder and Director - Open Sudan project (current) 3. Liaison for Africa and satellite events - Right to research coalition (2015). 4. The regional assistant for Africa on research exchange - International Federation on Medical Students’ Associations (2014-2015). 5. The coordinator of the working group on revising the standing committee on research exchanges (SCORE) bylaws - the International Federation on Medical Students’ Associations (2014). 6. The regional assistant for Africa on research exchange - International Federation on Medical Students’ Associations (2013-2014). 7. The national officer on research exchange - the Medical Students’ International Network-Sudan (2013-2014). 8. Training support division director for medical students in campus – Khartoum Medical Students Association (2013). 9. 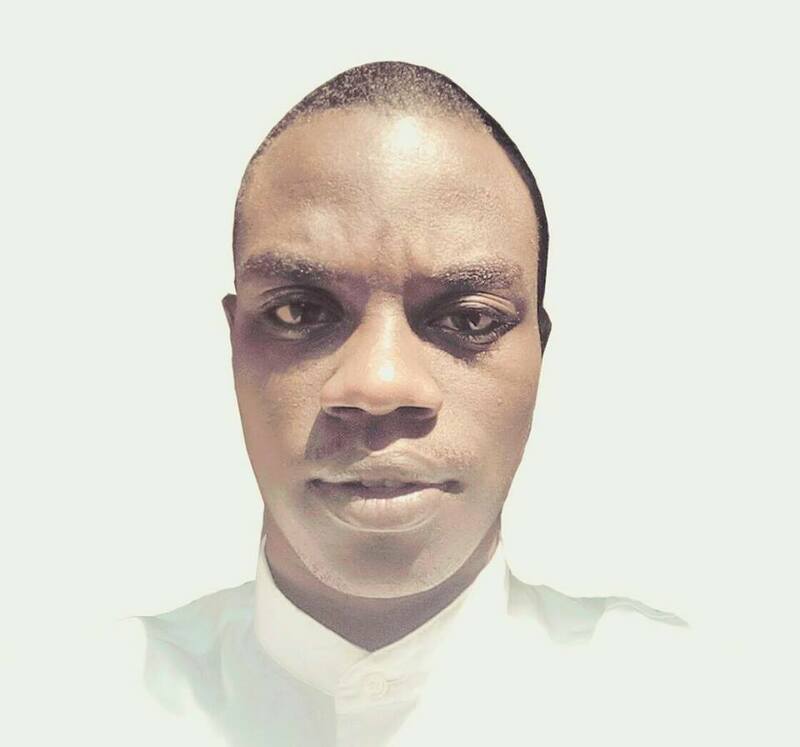 National coordinator of the medical students against maternal mortality project - the Medical Students’ International Network-Sudan (2012-2013). 10.Assistant for the national officer on reproductive health and AIDS- the Medical Students’ International Network-Sudan (2012-2013).  Organizing Events: 1. OpenCon 2016 conference - organizing committee member (next November). 2. The International Open Access Week 2016 - organizing committee member (next October). 3. OpenCon 2015 satellite conference - Khartoum, Sudan - December 2015. 4. Open access week national campaign - Khartoum, Omdurman, and Khartoum North - October 2015. 5. OpenCon 2014 satellite conference - Khartoum, Sudan - December 2014. 6. 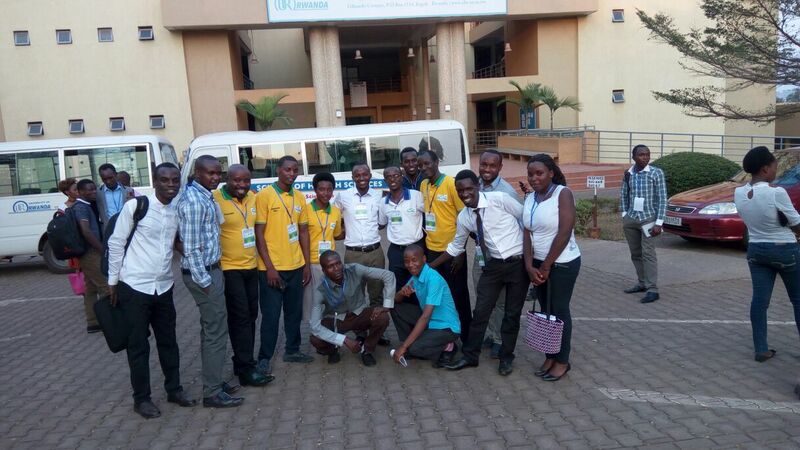 The transportation co-coordinator of the 10th African Regional Meeting of the International Federation of Medical Students’ Associations - Kampala, Uganda December 2014. 7. The venue and lodging coordinator of the April general assembly of the Medical Students’ International Network-Sudan - Khartoum, Sudan - April 2014. 8. The registration coordinator of the 9th African Regional Meeting of the International Federation of Medical Students’ Associations - Addis Ababa, Ethiopia - December 2013. 9. Research content developer of the Khartoum Medical Students’ Association’s General Assembly - Khartoum, Sudan - February 2014. 10. The organizer of the Basic AIDS Knowledge workshop at the university if Khartoum - Khartoum, Sudan - October 2013 11.The organizer and co-facilitator of the workshop Advocacy and Campaigning based on Female Genital Mutilation (FGM) as case study – Khartoum North, Sudan - August 2013. - Trainings and Workshops: 1. Defining the Scholarly Commons: Reimagining Research Communication workshop by FORCE 11 - Madrid, Spain - February 2016. 2. Training African Medical Youth Leaders (leadership training) by the UNESCO – Kigali, Rwanda - December 2015. 3. Advocacy and lobbying by SPARC - Washington D.C. - November 2014. 4. Training old IPAS trainers (on access to safe abortion) by IPAS - Zanzibar, Tanzania September 2014. 5. Marketing and fundraising training - Addis Ababa, Ethiopia - December 2013. 6. Training new IPAS trainers (on access to safe abortion) by IPAS – Addis Ababa, Ethiopia - December 2013. 7. Knowledge management training by the University of Brighton - Khartoum, Sudan May 2013. 8. Advocacy and lobbying training by MedSIN UK - Baltimore, US - March 2013. 9. Training on Adobe package (designing) by Pro training center - Riyadh, Saudi Arabia - October 2012. 10.Emergency nursing course by Prince Sultan Medical City hospital - Riyadh, Saudi Arabia - March 2011. - Conferences: 1. 2 nd Career Advice Conference (CAC) for the medical profession - Khartoum, Sudan January 2016. 2. The 11 th African regional meeting of the International Federation of Medical Students’ Associations - Kigali, Rwanda - December 2015. 3. The International drug policy reform conference - Washington D.C. - November 2015. 4. The 11 annual Open Education conference (OpenEd) - Washington D.C. November 2014. 5. OpenCon 2014 - Washington D.C. – November 2014. 6. The 7th Tanzanian Medical Students Association International Conference Zanzibar, Tanzania - September 2014. 7. Accreditation of Medical Education in Sudan Conference - Khartoum, Sudan May 2014. 8. The 5th International Neurosciences conference - Khartoum, Sudan - February 2014. 9. The 9 th African regional meeting of the International Federation of Medical Students’ Associations - Addis Ababa, Ethiopia - December 2013. 10. Berlin 11 Student & Early Stage Researcher Satellite conference - Berlin, Germany November 2013. 11. The September national meeting of the Sudanese medical students’ associations Khartoum, Sudan - September 2013 12. The April national meeting of the Sudanese medical students’ associations Dongula, Sudan - April 2013. 13. The 62nd March General Assembly of the International Federation of Medical Students’ Associations - Baltimore, Maryland - March 2013. - Researches: 1. The State of Open Access in Medical Educational Institutions Worldwide - the research surveys medical students in more than 115 countries who are members of the International Federation of Medical Students’ Associations to define the state of OA in medical educational institutions - ongoing.